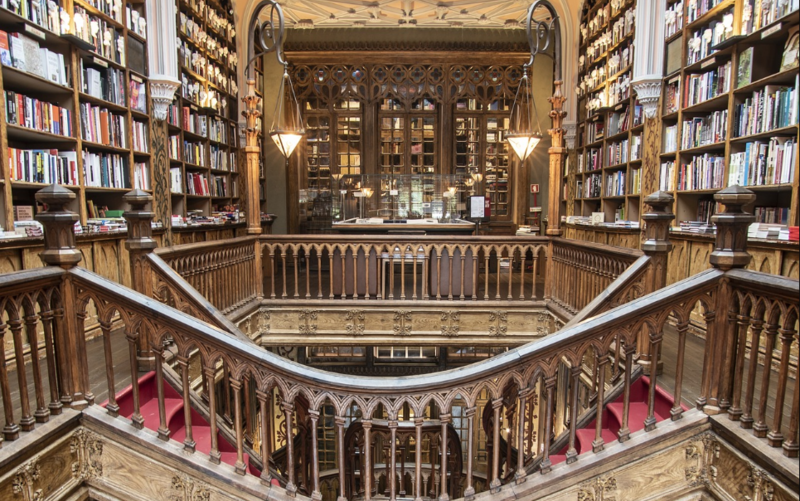 There are several; contenders for the world’s most gorgeous bookstore but this is the one that has my vote. 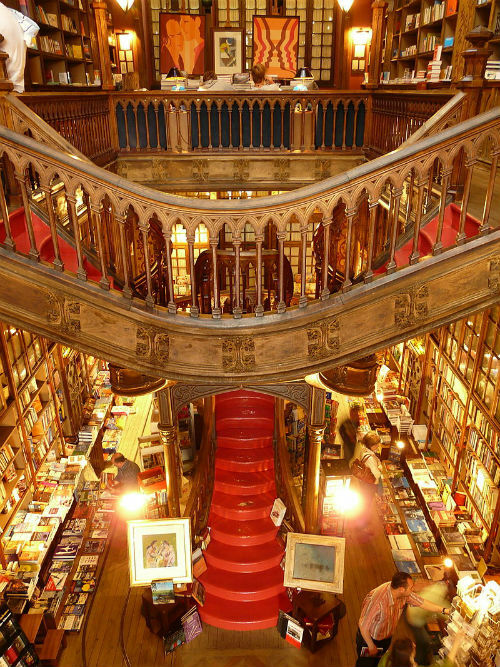 I could spend a lot of hours – or even days – in a bookstore and this one would probably keep me happy for even longer. It was founded in the latter part of the nineteenth century and although the exterior is fantastic, the interior is simply stunning. 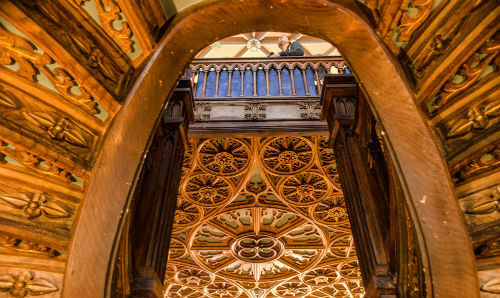 See details below of its famous staircase. 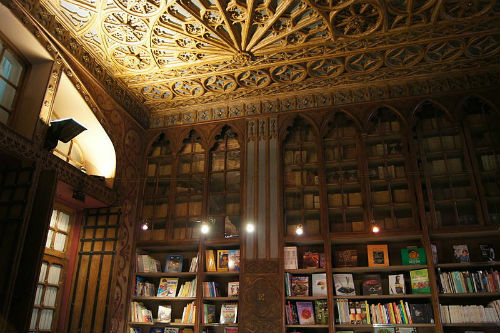 Although it sells books written in Portuguese and Spanish, a large selection of the books sold in the store are in English so there is a plentiful amount to browse during your visit. There’s just one drawback – which doesn’t mean that you shouldn’t visit this fabulous place. But it’s well worth knowing about. You see, a few years ago, a rumour started that the author of the Harry Potter books wrote them when she was sitting in the bookstore. Although she did teach in the local area (English as a Foreign Language) it’s very unlikely that as a new mother with an unhappy marriage and as a busy teacher she had time to lounge about in bookstores writing uncommissioned stories. It’s very likely that she went to the bookstore during her time in Portugal (and who wouldn’t?) but unfortunately, the rumour went a step further. There are now reviews and even blog posts online that say that the Harry Potter movies we actually filmed in the bookstore. They were not. 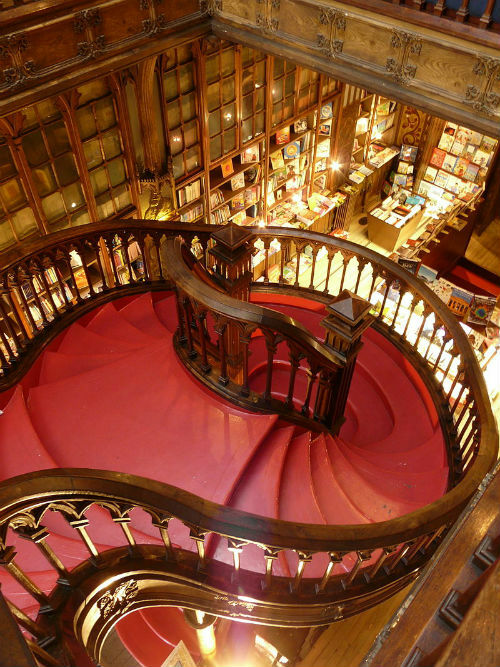 However, Harry Potter fans see the bookstore as a necessary ‘pilgrimage’. The bookstore, wisely, started to charge an admission fee. It is now €5. This is deducted from the cost when you buy a book. Note that review of the bookstore from the aforementioned Harry Potter fans remark that your €5 is redeemable against a purchase if you buy a book – not when.